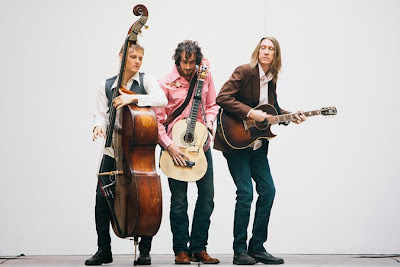 The Wood Brothers have relocated to Nashville (! ), where they cut their most recent album, The Muse, out today. The titular first single got the video treatment at Nashville's War Memorial Auditorium and features them singing to an empty room intercut with Instagram-style family photos. "The Muse" is a gravity-fueled number, with the weight of the lyrics and rhythm of Oliver Wood's strumming, intensified by perfect bass and melodica touches. I had the chance to see them twice in the past couple weeks and they don't disappoint live. So get out and see them. Yo Nashville is a segment in which we highlight music from here in Music City U.S.A.